It’s Monday! What are you reading? is a weekly bookish feature hosted by The Book Date (http://bookdate.blogspot.com/). August feels like it’s off to a slow bookish start; I was in a wedding this past weekend, so that’s where a lot of my time has been going, but I’ve also been reading more slowly than I typically do and it feels sort of strange. Let’s figure out why! 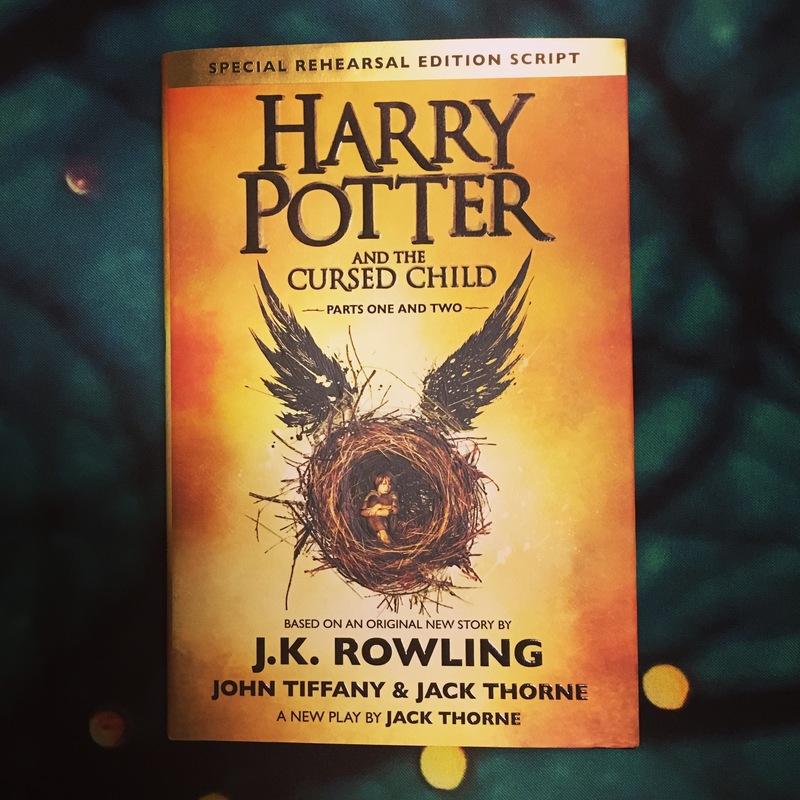 I decided to kick off August with Harry Potter and the Cursed Child; I bought it on July 31st (I’m not a midnight-release-er) and, although my expectations weren’t sky-high, was intending on binge-reading it that day so that I could experience it before being accidentally spoiled somehow. This…didn’t happen. Instead, I read about 30 pages of the play and it started to make me really sad because I just wasn’t liking it/connecting to it. It took me several days to work up the desire to pick it back up, at which point I sort of forced myself to accept it for what it was and was able to enjoy some aspects of it. I’m not going to do a whole review here (I might do one later, though…) but I think that a lot more thought and detail should have gone into any sequel to the Harry Potter series. If anyone could recommend me more Booktubers to follow, or if you have a channel, please let me know! As I said, I’m a newbie, and I’d love to find more awesome bookish people to get recommendations from. I was also having some audiobook issues this week (shocking, I know). The audiobook I intended on listening to this month, Running With Scissors by Augusten Burroughs, was…not great. The writing was pretty good, but I only listened to about half an hour of it before realizing that I really did not like it. I went on Goodreads to check out reviews and see if I should push myself to keep reading, and I actually saw in a bunch of reviews that Burroughs had been sued for misrepresenting the family he talks about in his books, and that large parts of the “memoir” had been fabricated. I did not know this when I picked up the book; if I’d wanted to read fiction, I would have! So I went ahead and DNF’d. 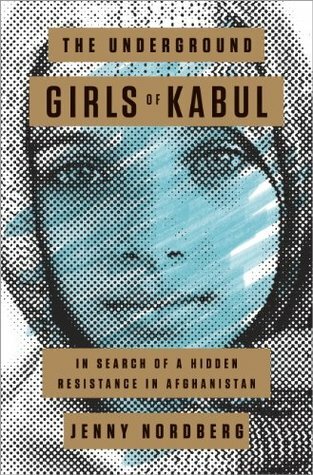 That actually worked out well, since my library had The Underground Girls of Kabul: In Search of a Hidden Resistance in Afghanistan by Jenny Nordberg available. I started it today and it’s fascinating; it focuses on the lives of women in Afghanistan and particularly the custom of disguising and raising some young girls as boys. I’m also in the middle of Vicious by V.E. 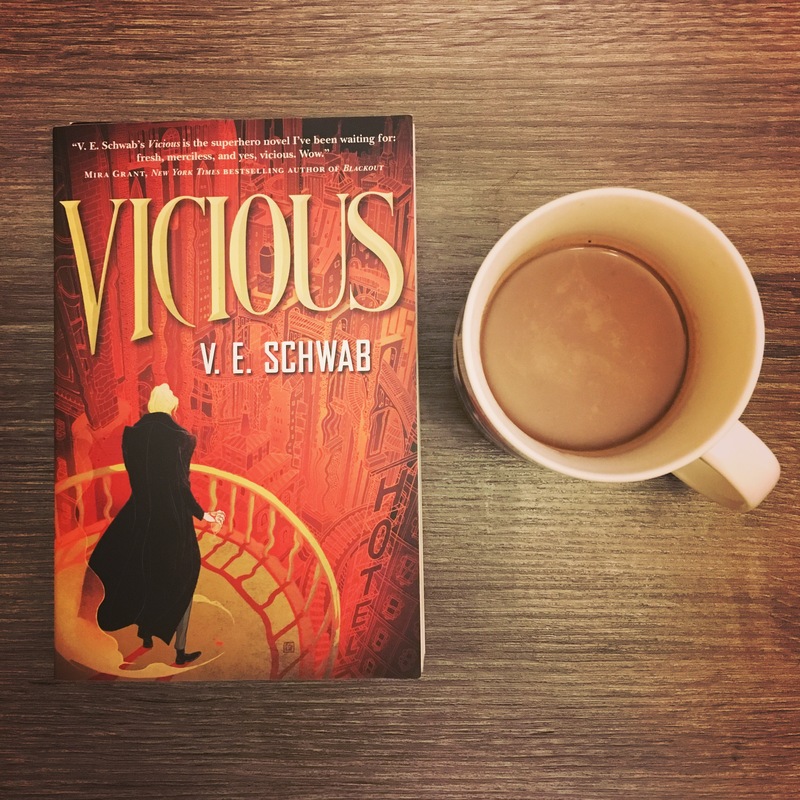 Schwab as my main physical book–actually, it’s the only physical book I’m reading right now, which is super weird! I’m typically such a multi-book reader. Anyways, I’m a little more than halfway through, and I sort of thought I’d have finished it already, but like I said, August has been a slow month so far. I really like the characters and how the book jumps back and forth in time to tell the story; however, I’m not absolutely blown away by this book. It’s good, but not amazing. So far. What are you guys reading? Let me know! Previous Post#ReadThemAllThon Reading Challenge TBR!Next PostBout of Books Sign-Up and TBR! Love Neil Gaiman! 🙂 Happy reading! I haven’t read the Cursed Child but I’m yet to find someone who liked the whole thing. I do feel though that it can’t really be looked at as a HP sequel. It’s a different format, it’s not written by Rowling. I wonder how it translates to the stage. I love Booktubers! Some of my faves are Ariel Bissett, MercysBookishMusings, Jean BookishThoughts, Jason Purcell & Rincey Reads. I agree with you–the problem is that it just isn’t an actual sequel; I’m sure it’s much better on stage, but the actual story just didn’t feel real to me. I haven’t read Cursed Child yet, but I think I’m going to wait to read it for a while. I’ll go into it with no expectations though. Going in with no expectations is definitely a safer bet. Thank you for the Booktube recommendations, I’ll check them out! I’m reading a book about sound as weapon and my audio is Medical Apartheid, but I need to start some fiction books soon. If you’re thinking about checking out Booktube then I will warn you that it’s taken over my reading time–when I find a Booktuber I like I’ve been watching their past videos, so I’m not caught up with anyone’s reviews and it’s like falling down the Booktube rabbit hole. But fun! Your nonfiction picks both sound like really interesting topics! Interested to hear your thoughts when you finish them. Haha uh oh! I will need to set a timer😁 I can imagine booktube might be too addictive but I’ll give it a try. Thank you, will do! Awww, you’re not enjoying the new HP book? I’ve been putting off reading it. I don’t know if I’ll like the script form. Most love it from who I follow but I dunno; I can wait. I feel guilty saying not-good things about the new Harry Potter; I know a lot of people did really like it but unfortunately it didn’t work for me overall 😦 I’m sure it’s better to see it as a play rather than read the script. I am currently loving The Problem with Forever it is so good! But go in with a open heart – it may break it. As for booktube people there’s Little Book Owl, booksandquils, between chapters and abookutopia. Thanks for checking out Large Literature Lover! I’m pretty new to Booktube too so I don’t have any recommendations for you but the ones you provided are great so thanks for that!